A velvetbody wash that helps nourish and soften skin. An anti-oxidant rich cream wash infused with Lotus Flower, Chestnut and other botanical extracts that contain polyphenols to help reduce redness and bring comfort to skin. 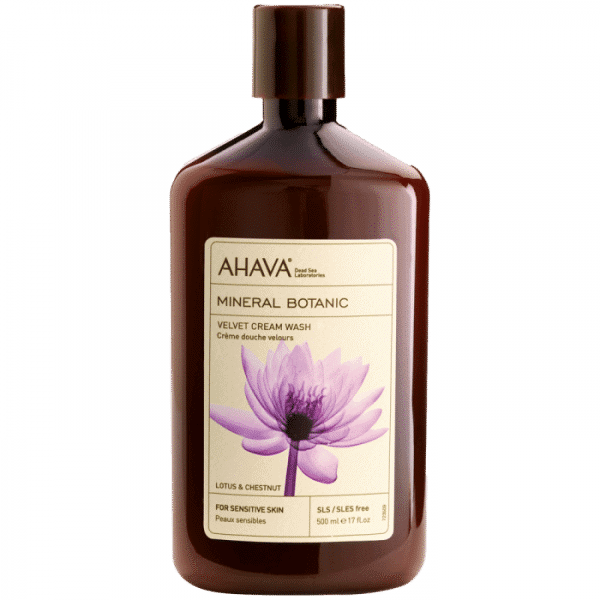 AHAVA Dead Sea Laboratories was founded in 1988 to study the powerful, rejuvenating minerals found in the Dead Sea. 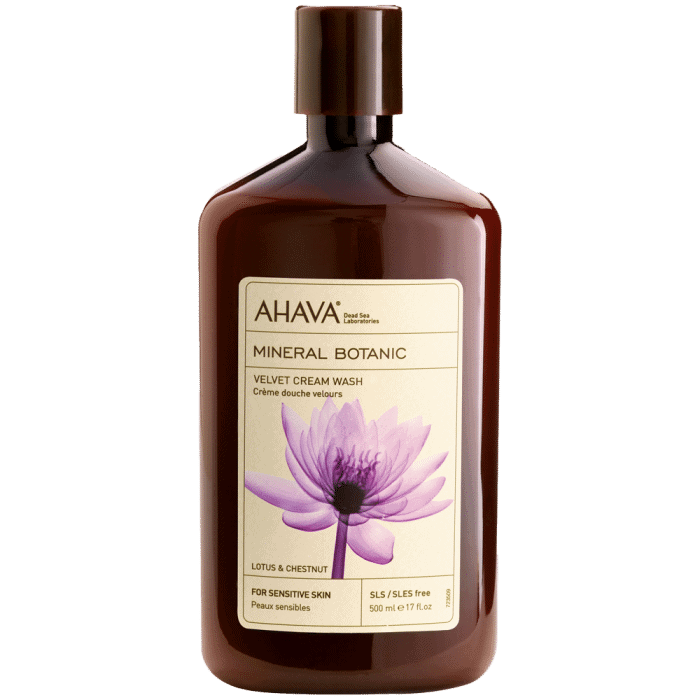 Since then AHAVA has grown to become the definitive Dead Sea mineral beauty expert and a leading cosmetic company. A velvetbody wash that helps nourish and soften skin. An anti-oxidant rich cream wash infused with Lotus Flower, Chestnut and other botanical extracts that contain polyphenols to help reduce redness and bring comfort to skin. Lotus Flower extract offers a unique soothing sensation to skin. Chestnut extract nourishes and hydrates. Dead Sea minerals boost skin's ability to stay hydrated. Apply a small amount on wet washcloth or loofah. Lather well and wash body. Rinse off thoroughly. A velvetbody wash that helps nourish and soften skin. An anti-oxidant rich cream wash infused with Lotus Flower, Chestnut and other botanical extracts that contain polyphenols to help reduce redness and bring comfort to skin. Lotus Flower extract offers a unique soothing sensation to skin. Chestnut extract nourishes and hydrates. Dead Sea minerals boost skin’s ability to stay hydrated.